You don’t always have to eat watermelon raw. You get interesting results grilling it, as well. 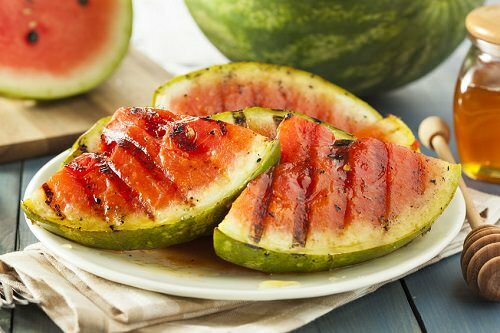 Cut up watermelon into small, 1-inch-thick slices. Coat them in olive oil and sear on a hot grill pan. Each side should take around two minutes to grill properly. To serve, decorate each slice with crumbly goat cheese and sprinkle salt and pepper over it.